Poshmark is a fashion marketplace app that lets users buy and sell used-clothing online. Jennifer Inthavong, a Poshmark seller in LA, says that she’s netted a steady income since she started selling on the app in 2013. She’s since quit her job in order to stay at home and sell clothing on Poshmark full time. 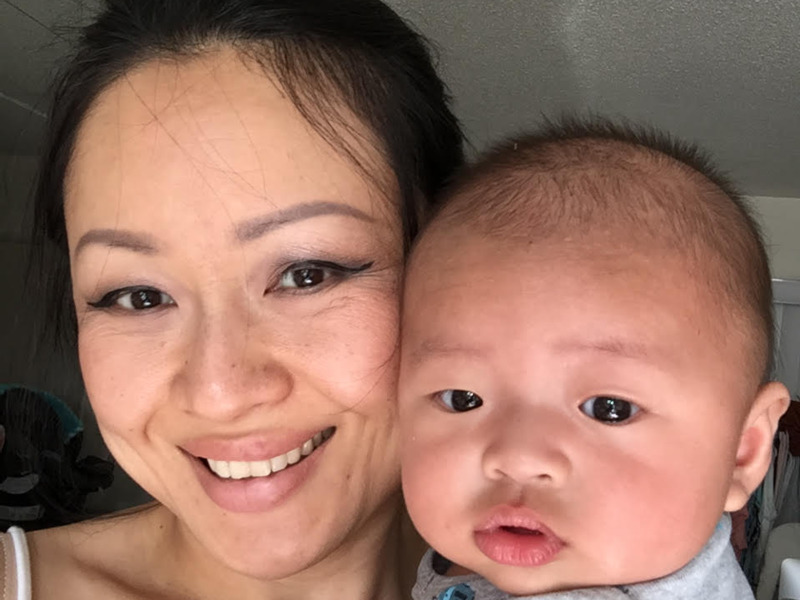 After Jennifer Inthavong had her first child five years ago, she realised that she wanted to stay at home and care for her son full time. However, Inthavong, who worked in LA as an advisor at a local college, knew she would need an alternative income to make that possible. One day, while scrolling through Facebook in 2013, she discovered an ad for Poshmark, a fashion marketplace that lets users sell used clothing online. Inthavong had a stash of handbags and clothing taking up space in her closet, and she decided to see if her unwanted items could turn a profit on Poshmark. When the items sold a short while later, she was immediately hooked. 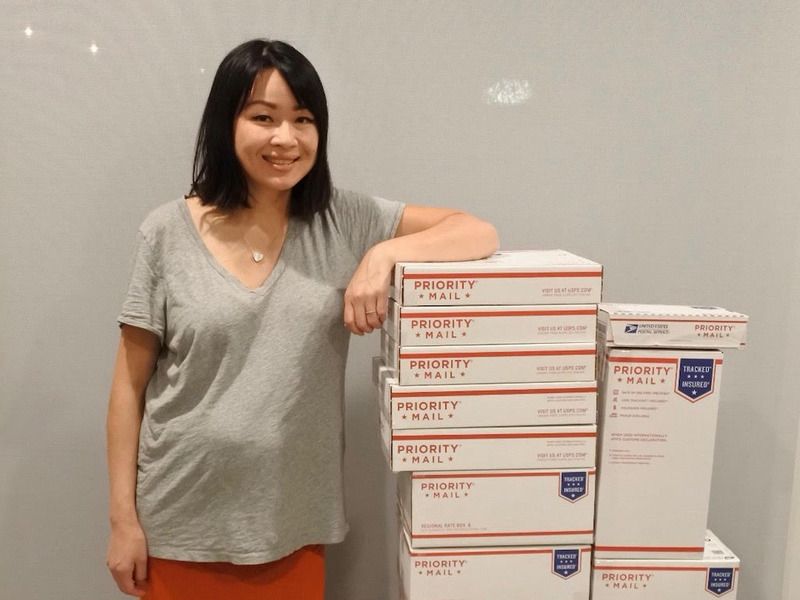 And so, Inthavong started meticulously assembling her own online “closet” for Poshmark – an inventory of clothing and accessories that reflect a seller’s available items and often, their individual fashion sense. Inthavong, who at first started listing only the goods in her closet that she no longer wore, was soon considering turning her Poshmark inventory into a full-time business: selling clothing culled from LA boutiques to buyers online. While the app at first presented a learning curve in how to attract a steady stream of buyers, Inthavong soon realised she would grab customers by strongly representing her own style and taste. She also followed top sellers, taking notes on the comprehensive inventories they offered online. “You have to get the feel for it, and it’s a learning curve, but the community on Posh is very helpful,” said Inthavong. For Inthavong, Poshmark’s sense of community was a defining feature that set the app apart from other online marketplaces like Amazon or eBay. On Poshmark, Inthavong said she was soon making personal connections with the people who bought her goods, beyond just talking about style, sizing or fit. Inthavong said that one of the most compelling aspects of working through Poshmark is the chance to meet her network of online friends in person. Aside from the friendships she’s made, Inthavong says that connecting with Poshmark’s community is integral to her thriving Poshmark business. Inthavong’s success on the app has attracted the attention of other sellers, and she says that she often offers advice to other up-and-coming sellers. PoshmarkA sampling of Jennifer’s closet, which can be found under the handle @bellanblue on Poshmark. For herself, Inthavong said that she’s netted close to a steady income of over six figures since she started selling on Poshmark. Her success on Poshmark wasn’t instant and it wasn’t easy. But after years of building up her network of buyers, and fine-tuning where she buys her inventory, in 2017, she quit her job and works exclusively at home, full-time, selling on Poshmark. Now she brings her son along when she stops in to buy items at local clothing manufacturers in downtown LA. While Inthavong says that her sales on the app vary between $US5,000 and $US10,000 a month, the profit she’s made has allowed her to help buy a home along with her boyfriend in a Californian suburb. For sellers who are new to the app, Inthavong says the key to maintaining a successful inventory is all about developing a unique fashion sense.